Study to understand how to deliver the right information at the right time. This was a generative study that was initiated to help facilitate a complete redesign of the Alaska Air website. Personalization was viewed as one of the key enablers of a better user experience. In fact "Relevant" had recently been defined as one of our four core pillars for ecommerce. 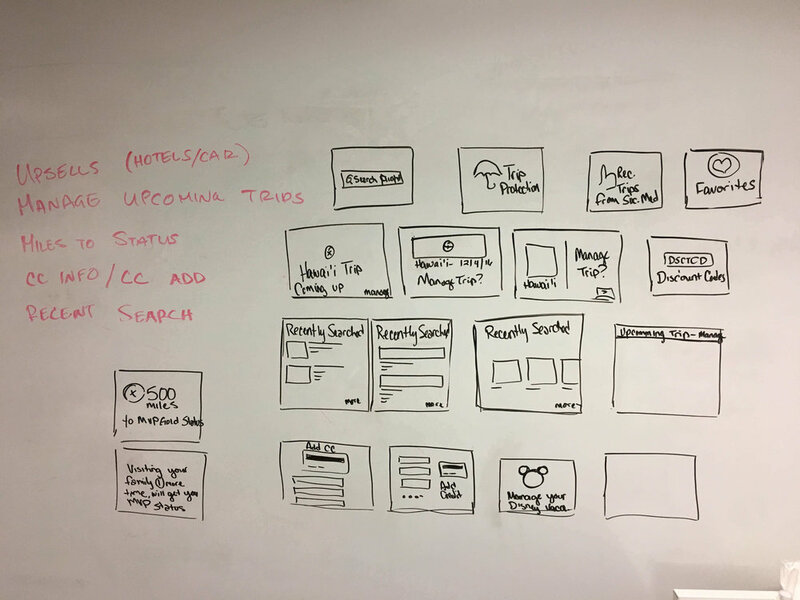 Our team crafted a design exercise to understand what nuggets of information users found most valuable and how they organized the content. We started off by taking note of content that we hypothesized would be of interest or value to a user. 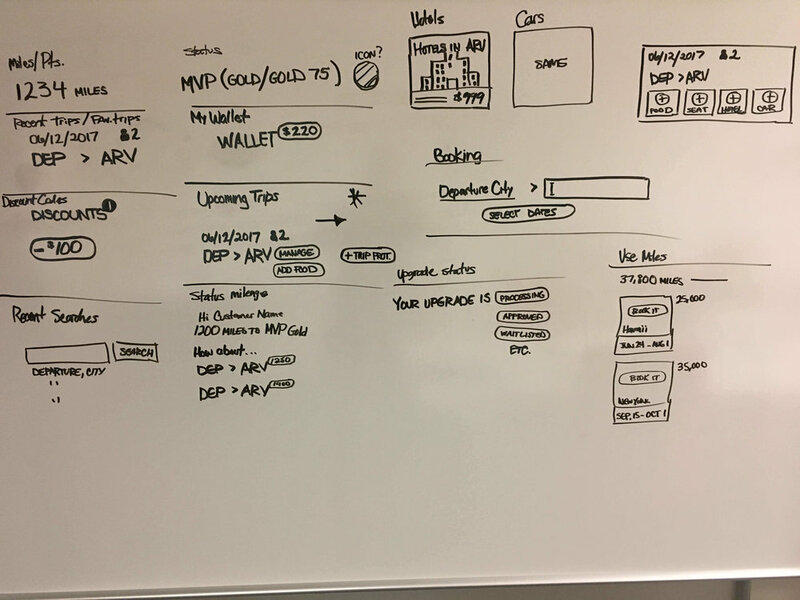 Over the course of a few brainstorming sessions our ideas took shape from written ideas to wireframe sketches and ultimately into digitally-hand-drawn cards (credit: Camron Lockeby). Me and a team of three other user experience designers visited a local coworking space and solicited for test candidates. We collected basic user data, including demographic and travel preferences via survey. 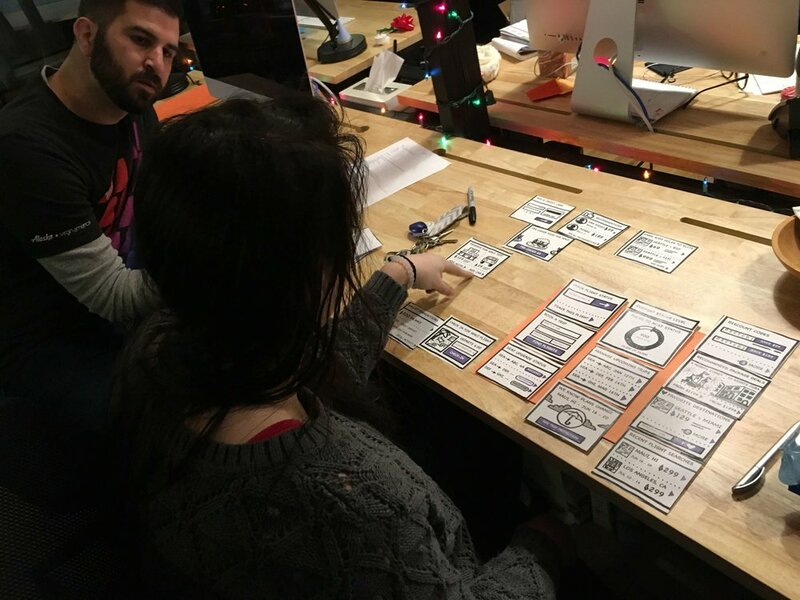 The testers were then tasked with selecting the cards which they find most important and then organize them on a sheet of construction paper as if it were their computer screen. 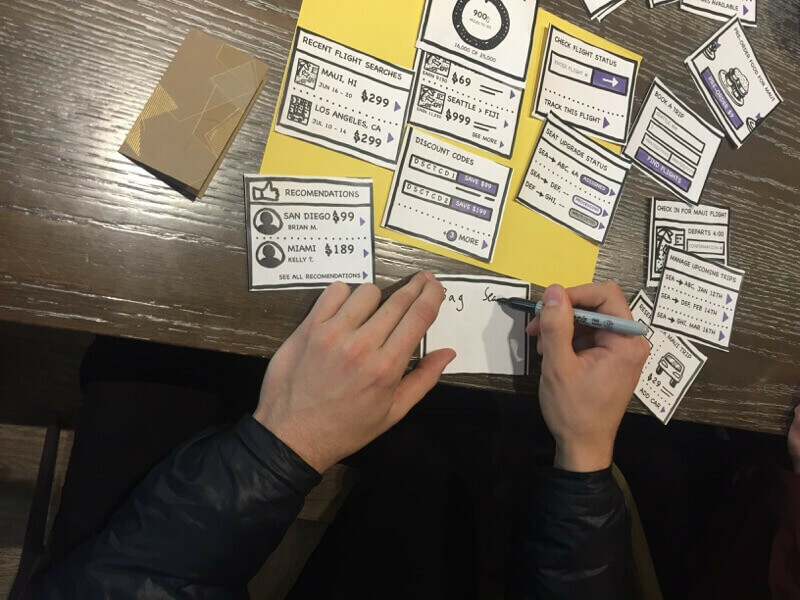 The design exercise took approximately 10 minutes and the testers were encouraged to think aloud—my favorite part about in-person research is the opportunity for back-and-forth conversation and the ability to probe into specifics. After we completed our interviews we then were tasked with synthesizing and analyzing our findings. My first reaction was to look for patterns in the clusters and location so I created a heatmap of sorts for the position of each card (eliminating anything that extended below the construction paper). I also took note of the demographic information in the event that subtle patterns emerged from user segments.